A few days ago my wife was sorting through the papers that regularly accumulate in one of our kitchen drawers. You know, those documents you weren’t sure you couldn’t live without but had no proper place to store or display? Those seemingly precious artifacts that once consigned to the drawer, you promptly forget ever existed? It’s only my wife who ever goes through that drawer, and she usually does so when I’m editing a vital piece of writing or agonizing over a Yankee baseball game. The process goes on like that for hours, and to be fair, I could step in and take responsibility for my own stuff and sort through it before she does. I know she hates this part of me—the part that finds my indulgences more important than tending to the nuts and bolts of the papers of our lives. And I hate to be asked about it all, so I really should do something differently to end this madness. Maybe one day I will, but until that time, I’ll take this opportunity to write about an item that she pulled out for my inspection on this last sorting. 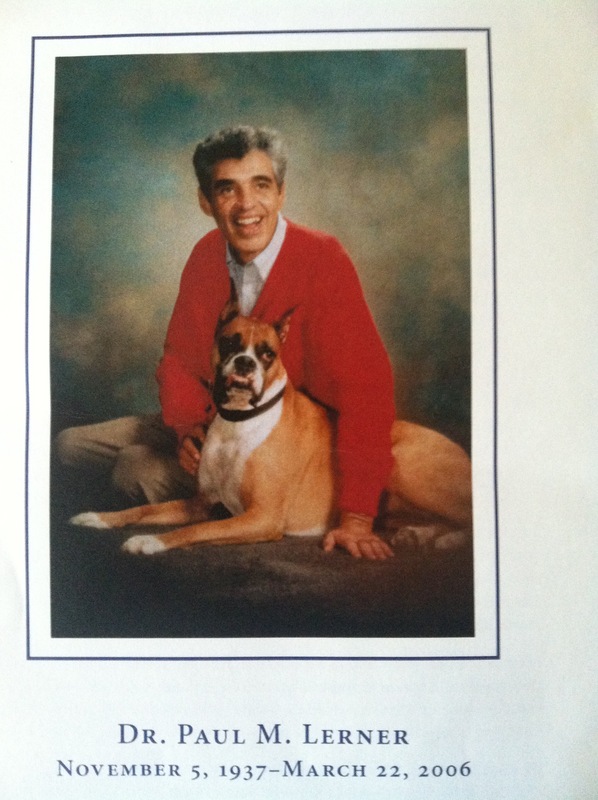 It was a commemorative photograph of my former therapist, posed next to his beloved Boxer dog, smiling as if at that moment he was the happiest man alive. “I’m sure you want to keep this,” my wife said. When your therapist dies of a sudden and massive heart attack, whom do you turn to for consolation, for understanding? It was seven years ago now, since that evening when my wife broke the news to me. We were winding our way down a mountain road after dropping our daughter off at a weekend youth camp. I didn’t know what to say, and in some ways I still don’t. “At least he didn’t suffer,” she said. Which, I suppose, is the best you can say when it feels like the world has shifted unaccountably and forever. Paul had been my therapist for eleven years, ever since my depression deepened to the point where I felt like I was holding my breath every time my wife left me in charge of our two very young daughters until she came home. I could do all the functional things—feed them, change them, take them for walks—but I always felt like I would somehow lose or break or forget them somewhere, even inside our house. So I began seeing Paul. At first, he wanted to see me every week, sometimes for two-hour sessions. He uncovered layers of depression that, unsurprisingly, took me back to my childhood, into issues of abandonment, triangulation, secrecy, and loyalty. Through this process, eventually I became more confident of my power and ability to take care of my loved ones. My love for them had always been strong, but Paul helped me see my competence, my strength, and most importantly, my worthiness of being loved. Two particular incidents, I think, best describe the relationship we had. 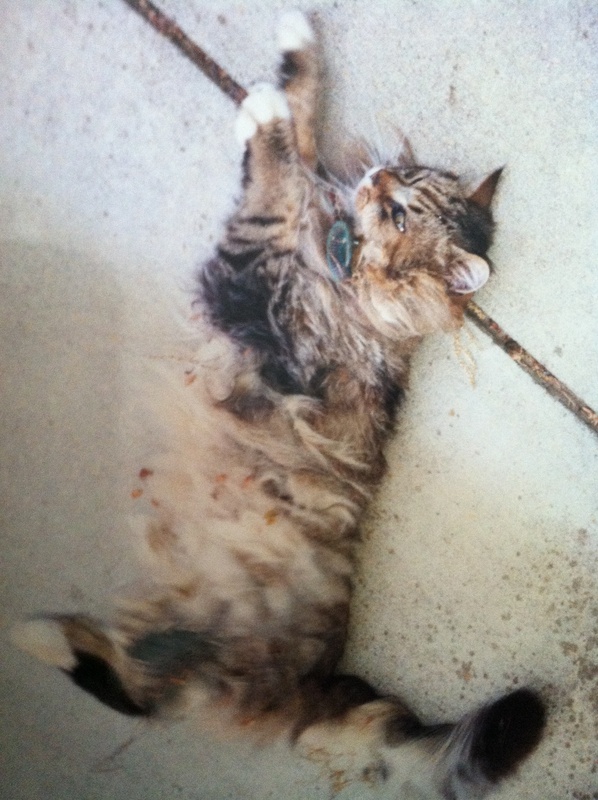 Once, our beloved family cat Hugo, at this point reaching age 12, developed a severe thyroid condition. Some in our immediate and extended family thought that Hugo was too old to undergo the costly radiation treatment that could cure him. But I was determined to take care of my pet, convinced that he still had years of life left to live. I had begun writing film reviews for a local weekly newspaper, and I dedicated my small salary for my first writing job to paying Hugo’s expenses. I explained all this to Paul during our next session, especially how I was doing this against the wishes and advice of others in my family. It was enough for me that he had empathy, that he heard my frustration and fear and pain. But even though I protested, he wouldn’t let me pay him for the session, and so I did use the money to cure my pet. I knew, in the middle and back parts of my mind that my father was dying. But I needed to see it more closely, to accept it. That’s what a good therapist helps you do. Accept reality, and then deal with it. By the time my father actually died, I felt as close to Paul as I did any other man beside my father, and of course, in many ways, Paul understood me better than my father ever had. Which led me to take a chance on our relationship. My father died on Christmas Eve, 2000. 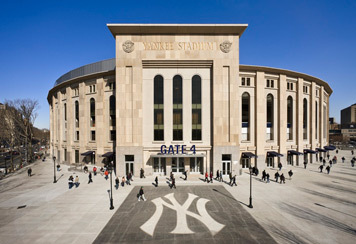 A few weeks later, as Paul was helping me manage my grief, I blurted out that one of my deepest regrets was never offering to take my Dad to a game at Yankee Stadium. So I made all the arrangements. Our tickets were for a late April game against the Indians on a Saturday afternoon. On the Friday before, I flew into New York and met my best friend Jimbo at his apartment on the upper West Side. We ate lunch at a Colombian café just down the street, catching up and reminiscing. On returning to his place, we caught the phone on its seventh or eighth ring. It was Paul. I had given him Jimbo’s number just in case of an emergency. What could I say? I felt years of therapy shedding itself from my skin. I’m sure I tried my best to cover my shame, my embarrassment, my feelings of abandonment. Covering your feelings from your therapist. What a great idea. He promised to talk to me the following week, and as we hung up, I felt my insides curling up. More than anything , then, I wanted to walk out of Jimbo’s place and keep going. “What just happened?” Jimbo’s face was as white as mine. Jimbo’s knowledge of baseball was accurately summed up earlier that day at lunch when he, who had been living in New York for the past twenty years, asked me if there were two New York baseball teams. His visual relief actually made me laugh. And it got me through this moment of crisis, if being doomed to go to a baseball game by yourself in historic Yankee Stadium could ever be said to entail a crisis. With the game starting at 1:00, I left Jimbo’s place at 11:00, hoping to get there in time to tour Monument Park. But by the time I navigated the subways and worked my way to the Will Call booth, it was just after 12, and the exhibits had closed. Still, I enjoyed strolling around the outside contours of the stadium, soaking in the reality that I was here, and only just a bit wistful that I was alone. And then I saw him. Not the ghost of my father, or the living being of Paul, but a gray-bearded homeless man, propped up against one of the pillars just outside the main gate. There I stood, two tickets in my hand, and a male voice begging to be my guest. I wish I could say now that I walked over to this poor man and gave him my extra ticket. I wish I could say that we entered together, that I even bought him one of Nathan’s finest dogs, and that we enjoyed a Yankee victory together, including that massive home run by Jorge Posada. I wish I could say that on this day when I looked at the seat beside me, I saw a man who, while not my father or my therapist, was nevertheless a warm body next to me relishing America’s pastime with me in the grand tradition of fathers and sons. I can’t say that, of course, because while I almost took a step closer to him, the thought that I would be saddled with a homeless stranger for the next four hours—along with whatever else he might bring—stopped me dead. So I passed on by, went through the turnstiles, found the first trash disposal I could, and tossed that extra ticket in, where it nestled itself among the beer cans and popcorn boxes. It was a semi-rainy day, and while the game went on without a delay, there were many open seats in the upper deck on the third base side where I was sitting. I could have sat anywhere up there, and much closer to the front row of the deck than I did. But it just didn’t feel right to move. It didn’t feel right to leave that seat next to me where no one was sitting. I am well, though I still have my occasional low days. Hugo eventually passed, too, three years after he recovered from his thyroid treatment. I found him lying in our driveway one evening, looking as if he were just asleep. His end, like Paul’s, must have been sudden and quick. I loved him like Paul did his precious Boxer. And as I dug the hole where my wife, our healthy daughters, and I buried our dear kitty, I thought again about all those empty spaces that we see and feel: the ones we fill with all our love. Terry Barr’s essays have appeared in The Montreal Review, The Museum of Americana, Red Fez, and Steel Toe Review. He is also a regular contributor to culturemass.com, where he writes about pop music and memory. He live in Greenville, SC, with his wife and daughters, and teaches Creative Nonfiction at Presbyterian College.